Pristine Kosher Chef, chosen for its natural purity. 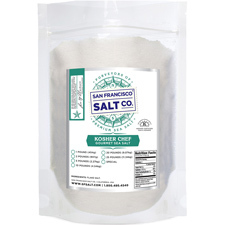 This select gourmet salt is perfect for all occasions. Its crisp and flaky texture is perfect for absorbing flavors and enhancing any culinary dish. 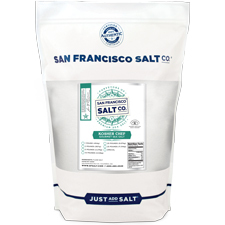 Whether you’re an amateur chef who is passionate about food and loves to cook at home or a professional chef, Kosher Chef is a great staple salt for all culinary enthusiasts alike. No kitchen should be without a bottle of pure Kosher Chef ! 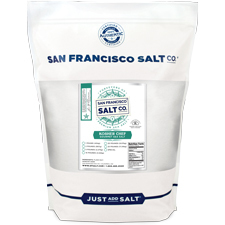 PROPERTIES - Our Kosher Chef Salt is Kosher Certified, Non-GMO, and does not contain any MSG, Soy, Gluten, Dairy, or anti-caking agents. We package in our U.S.A., GMP certified packaging facility that is 3rd party audited, by SCS Global. Crafted in the USA.